hey're extremely quick to buy ready-made, or you can put them together by hand and really come up with something unique and personal. Here are a few ideas to get you started. * They're really fun to receive! Some people believe that Easter gift baskets should simply be filled with traditional Easter chocolates, and there's nothing wrong with this. If you want to go down this route then Easter eggs of different sizes are always a good idea, perhaps with chocolate shaped into bunnies and chicks. 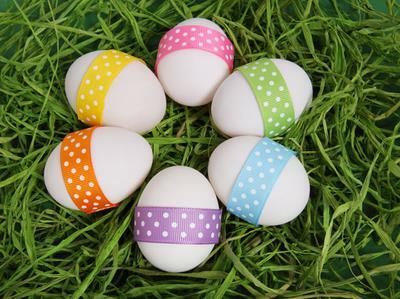 If you're not afraid to choose something other than chocolate then you could always include real eggs, hard boiled and decorated, as well as other decorative items. Homemade baked goods are also a firm favorite, as are any gourmet drinks and anything else you think the recipient is going to love. For some of us, there really is such a thing as having too much chocolate around Easter time! If this is the case then you might want to put together Easter gift baskets that don't contain chocolate or any kind of food. Since it's spring, one of the top suggestions is to include some spring flowers (such as tulips or daffodils), or some scented candles representing fresh spring fragrances. The truth is that you really don't need to limit yourself to something that you think is necessarily related to Easter. Some people may put together a basket of toiletries because they know that the recipient will enjoy pampering themselves using them. Or you could even fill it with household items that you know they need at this point in time. 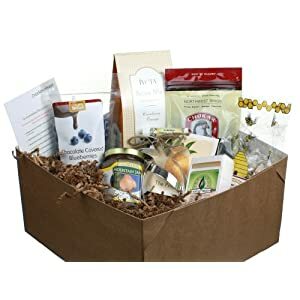 Easter gift baskets really do make better gifts when you put in things that you know the recipient will like, rather than conforming to any "Easter traditions".